Maintaining a healthy infrastructure is one of Westminster’s primary goals in order to remain a strong and prosperous city. 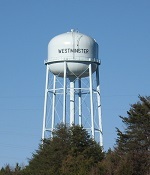 Westminster has excellent access to utilities, water and sewer, essential for enabling productivity in today’s economy. The city is well-positioned to respond quickly to future growth.